George Warren (real name: Frances, but nobody calls her that) is well aware that she's sometimes too tough for her own good. She didn't mean to make the hot new guy cry—twice. And maybe she shouldn't have hit the school's mean girl in the face. George's loyalty and impulsiveness are what her friends love about her—they know she's got their backs. On the cusp of her senior year, though, everything starts to change: a fight with her best friend puts an irreparable rift in George's social circle, George's father can no longer work as a police ofﬁcer, and the family's ﬁnancial problems threaten her dream of going away for college. The year is turning out nothing like what George envisioned, but unfortunately, life's a bad writer. Then George meets Francis, an older guy who shares her name and her talent for sarcastic banter. In him, she—the queen of catch-and-release—has ﬁnally found someone she wants to hold on to, when lately it seems like she's only been pushing people away. And with him, she falls hard and recklessly in love in ways she never thought herself capable. In short, it's the year George nearly loses everything, including herself, in secret and utterly alone. 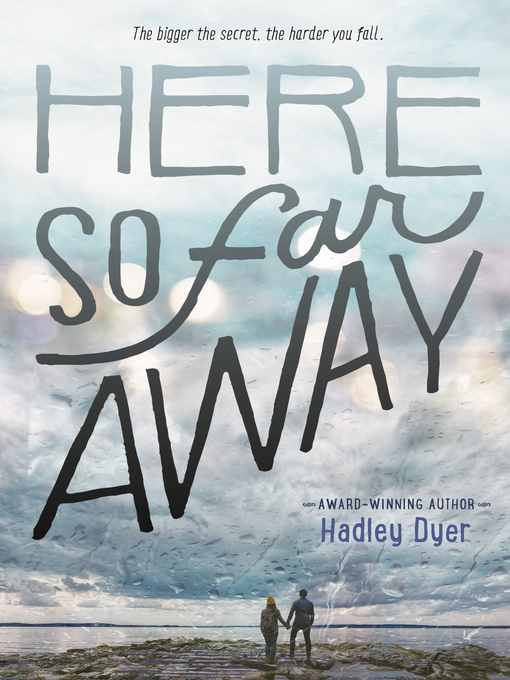 With brilliant humor and heartbreaking truth, award-winning author Hadley Dyer tells a story of ﬁnding love—and the road back from unthinkable loss. 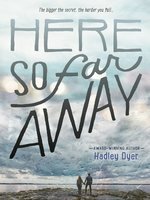 Hadley Dyer is the award-winning author of Here So Far Away and Johnny Kellock Died Today, among other books for children and young adults. She worked in the children's book industry for more than twenty years. To learn more about her, visit her online at www.hadleydyer.blogspot.com. Kit Pearson, author of A Day of Signs and Wonders "Brave and funny and tender." Teresa Toten, author of Beware That Girl "Honest and real and breathing." Margo Rabb, author of Kissing in America "A sad, funny, heartbreaking, and beautiful book." Tim Wynne-Jones, author of The Emperor of Any Place "This is a gorgeous read, so wonder-full of surprises." Susin Nielsen, author of We Are All Made of Molecules "A refreshing and engrossing tale . . . sure to be a page-turner for teens." The Globe and Mail "Empathetic, comforting and wise . . . Poetic realism at its finest." Toronto Star "Dyer depicts first passion and love with a precise, delicate hand; at the same time, her narrator George is irreverent, ironic and wonderfully earthy . . . Robust in wisdom and sparkling in word play, this is a thoroughly satisfying read." School Library Journal "A deeply felt romance constructed with equal respect to both sides, this love story is bittersweet like a Joseph Monninger novel, and equally hard to forget." Kirkus Reviews "Evocative and literary." CM Magazine "Dyer's prose captures the adolescent tone effortlessly . . . Here So Far Away touches a dark place not often plumbed in YA literature, and we see the painful process of maturity for the difficult journey it can be." Atlantic Books Today "Dyer goes for the jugular and in the end creates a heartbreaking novel dealing with secrets, loss and the mess that arises from not living truthfully."